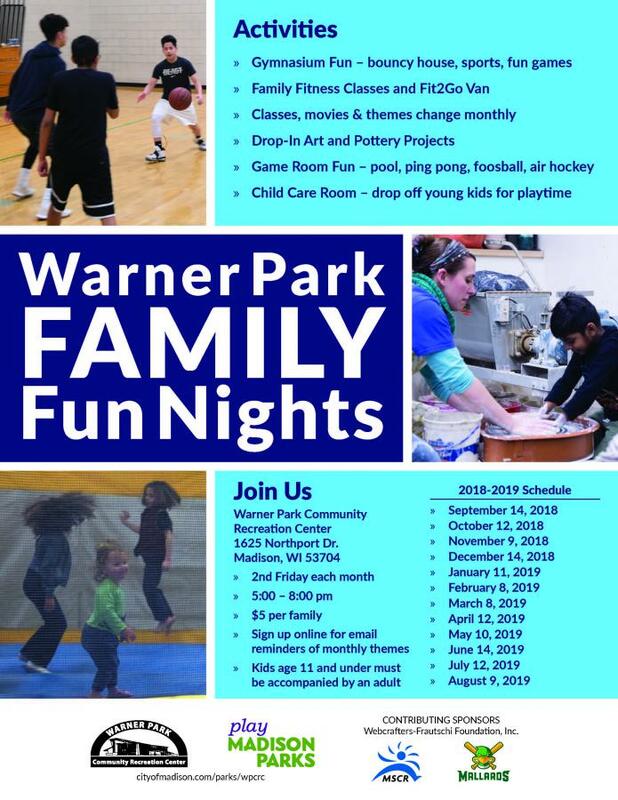 Join Madison Parks and the WPCRC for our April Warner Family Fun Night as we "Swing into Spring" with the help of the Madison Mallards! Let the kids play on the bouncy house, visit with Maynard, or play in the game room. April is "Swing into Spring" - as we welcome the Spring season and get ready for some Madison Mallards baseball. * Art and pottery projects sponsored byMadison School and Community Recreation (MSCR).